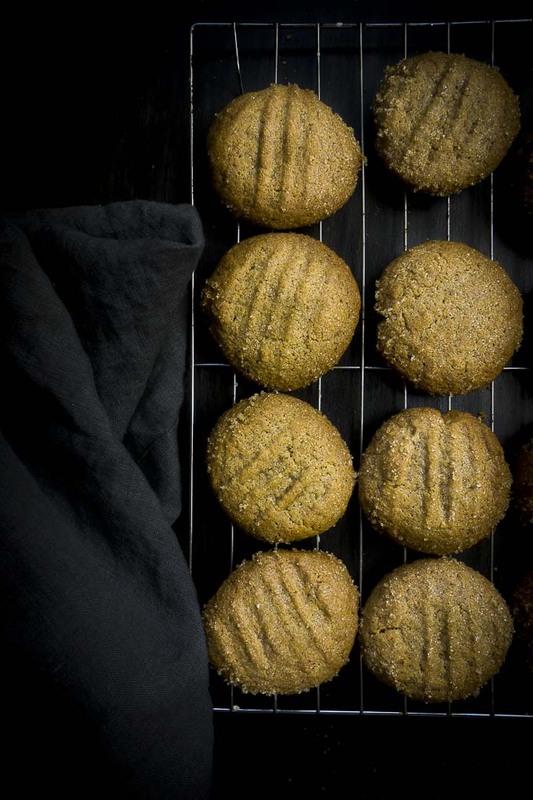 These chewy Gingerbread Cookies are packed full of spices and molasses, coated in brown sugar and baked to soft and chewy perfection. If you want “just can’t have one” cookies, these gingerbread cookies are it – they are the epidemy of holiday flavors! This post was originally published in December 2017. It has been updated for content and photography. Gingerbread is the best. Seriously guys, I love gingerbread. It makes me feel all warm and fuzzy and ready for the holidays. Gingerbread IS the holidays. These are the flavors I crave. My favorite part about these gingerbread cookies? These babies have molasses and they are AWESOME. I can’t tell you how much I love molasses. Actually, well sure I can…. As a kid, my mom always took my sister and I to the stables so she could take care of her horses. We had a lot of fun at those stables. She kept a bottle of molasses in the feed room to give her horses with their grain. My sister and I LOVED to take tastes out of that molasses bottle. We never tried it with the grain…never. Ok, maybe we ate some molasses and grain from time to time. So I add molasses to these chewy gingerbread cookies. Plus SO MANY SPICES! That’s what makes these cookies so amazing. Keep reading to learn how to make gingerbread cookies (and how to make them soft and chewy). While I highly recommend using molasses in this recipe, you can substitute it with dark corn syrup or additional brown sugar (1/8 cup for this recipe). These homemade gingerbread cookies are SO EASY to make. First combine all the dry ingredients and set aside. See all the spices? It may seem like a lot, but these are going to be perfect! Then cream the butter and sugar. 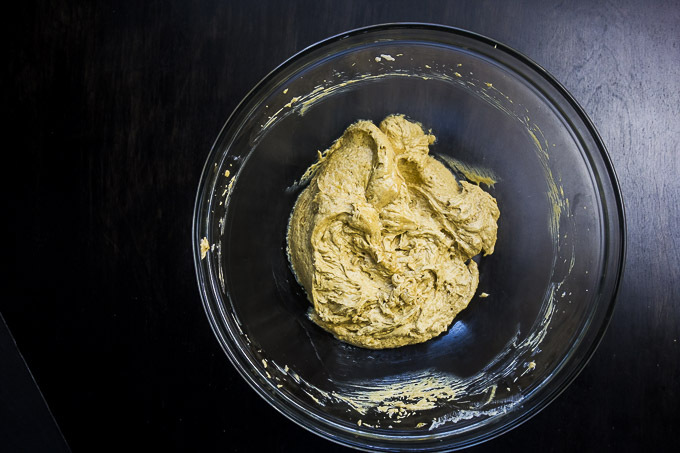 Make sure the butter has softened to room temperature before this step – otherwise it will be lumpy. Add the eggs and molasses and beat for one minute. 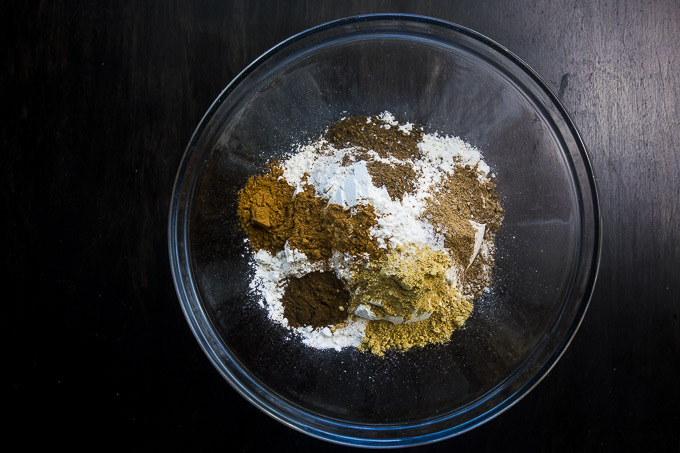 Combine the wet and dry ingredients, and stir until fully combined, being careful not to over-mix. Over-mixed cookies will be tougher. 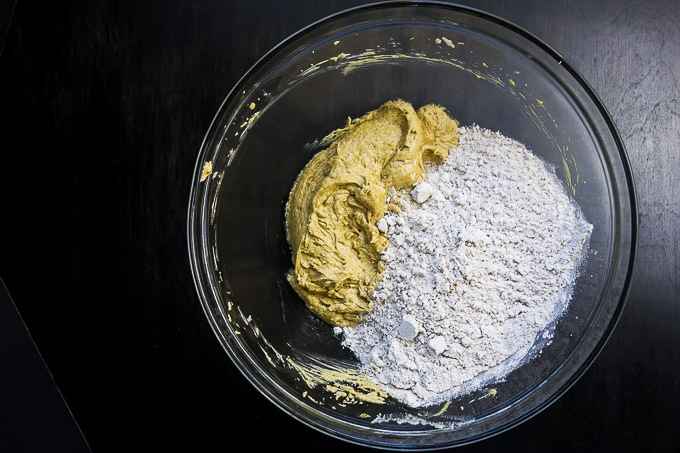 You want to just barely see flour streaks before you stop mixing. Refrigerate the dough for 3 hours or overnight. I always prepare these cookies the day before for convenience. Preheat the oven to 375 degrees and line a baking sheet with parchment paper. Place the 1/4 cup of brown sugar in a bowl. 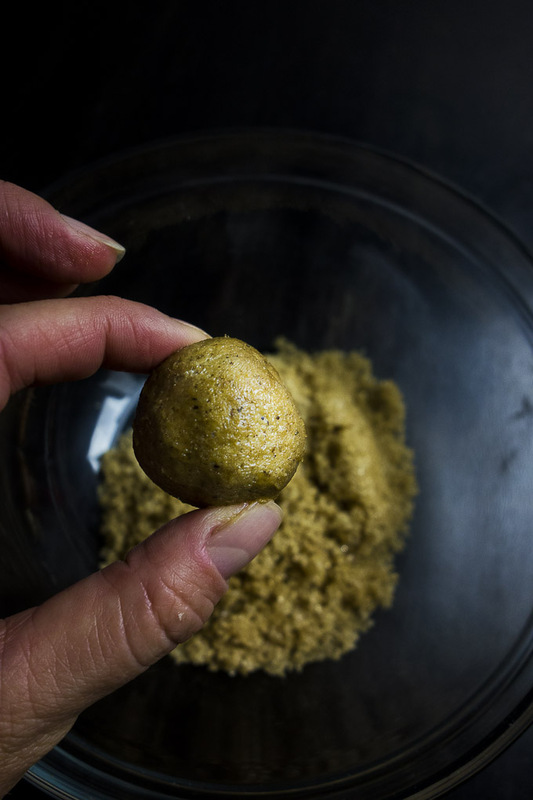 Roll the dough into 1-1 1/2″ balls and roll in the brown sugar. 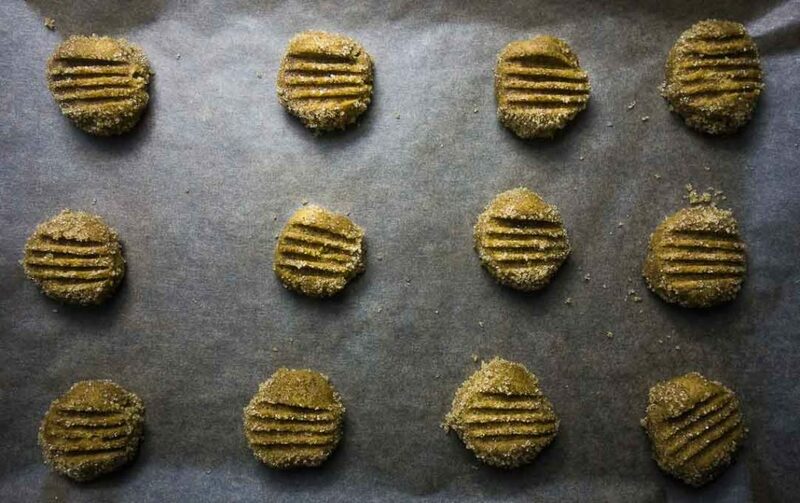 Place on the baking sheet 2″ apart and lightly flatten each cookie with a fork. Bake for 8-10 minutes, until edges start turning golden brown. Let cool for 5 minutes on the baking sheet, then finish cooling on a rack. Try not to eat them all. If you guys really want to spice things up, add about 1/4 cup of chopped candied ginger (in place of the ground ginger) to this recipe. It really adds a nice bite of flavor! 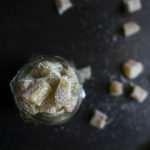 I’ve got an awesome recipe for candied ginger here. The key to keep gingerbread cookies from spreading is by chilling the dough. You can also replace the butter with shortening or use less sugar if you continue to have issues. 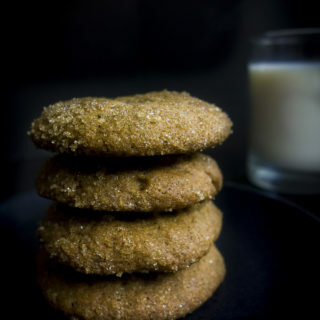 For this recipe, the chilled dough will keep these gingerbread molasses cookies from spreading. Can you freeze homemade gingerbread cookies? Let the gingerbread cookies cool completely then place on a baking sheet directly in the freezer for one hour. Transfer the cookies to a freezer safe bag and store for up to 3 months. Are gingerbread cookies good for you? 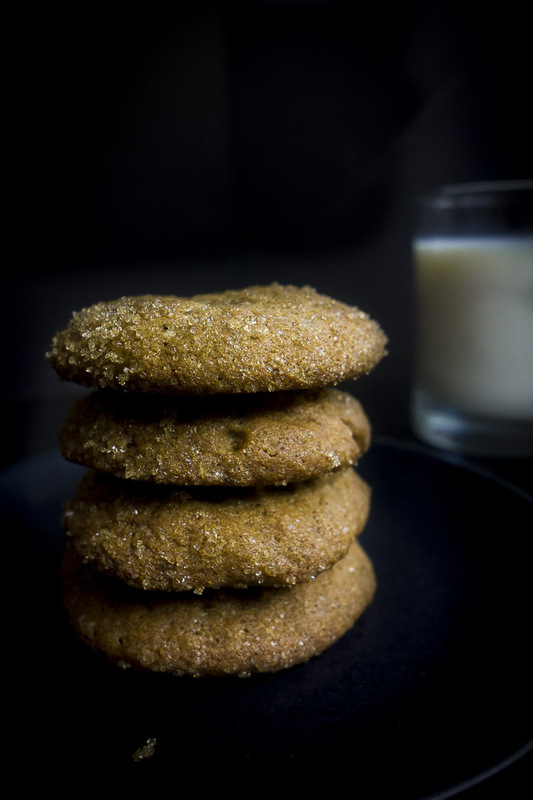 While the ginger and spices in gingerbread cookies have some benefits, gingerbread molasses cookies are not good for you due to their high sugar and fat content. – I love this one from Cuisinart, especially for small spaces. It’s super easy to store and has 9 different speeds. 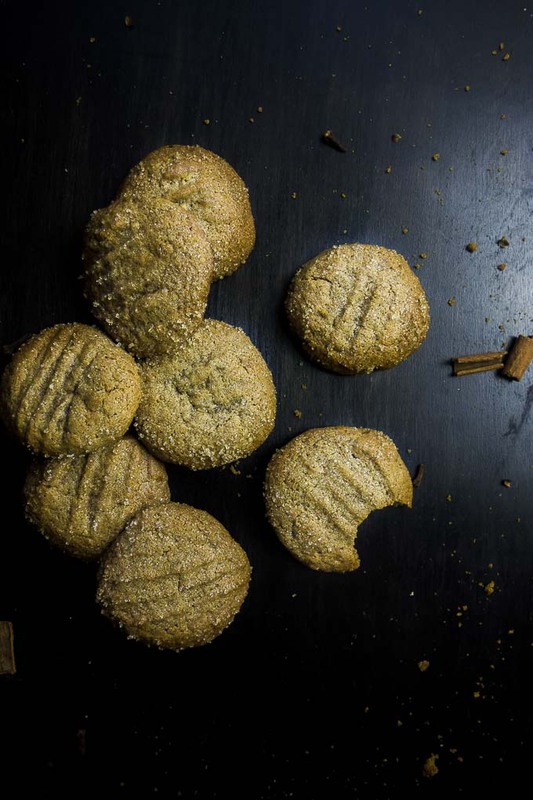 Did you make these chewy gingerbread cookies? Rate the recipe and leave a comment to let me know how they turned out! These chewy Gingerbread Cookies are packed full of spices and molasses, coated in brown sugar and baked to soft and chewy perfection. 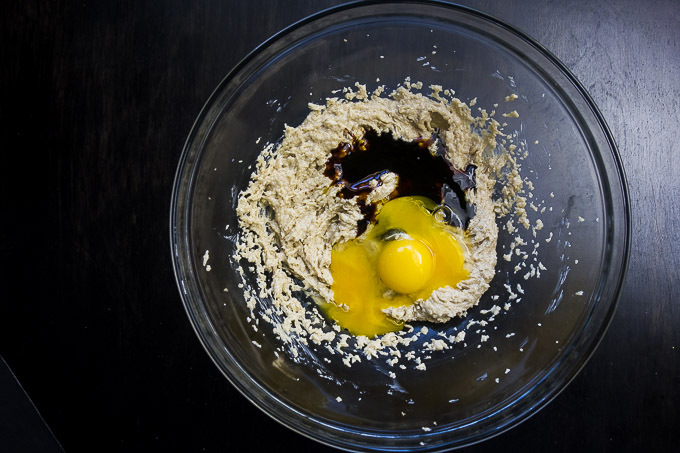 Cream the butter and brown sugar, then add the egg, egg yolk and molasses. Beat for 1 minute. Add dry ingredients and mix until fully combined. Refrigerate for 3 hours or overnight. 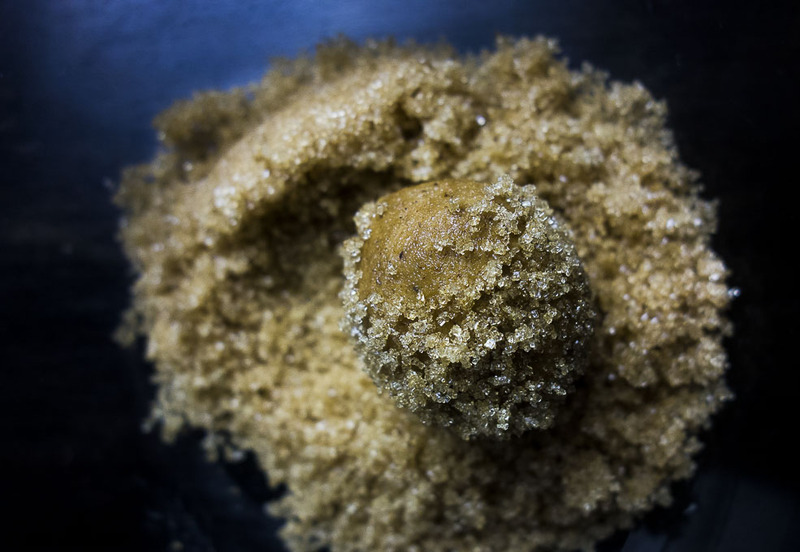 Roll into 1" balls and roll in the brown sugar. Place 2 " apart on a baking sheet and lightly flatten with a fork. Bake for 8-10 minutes. Let cool 5 minutes on baking sheet then transfer to rack to finish cooling. 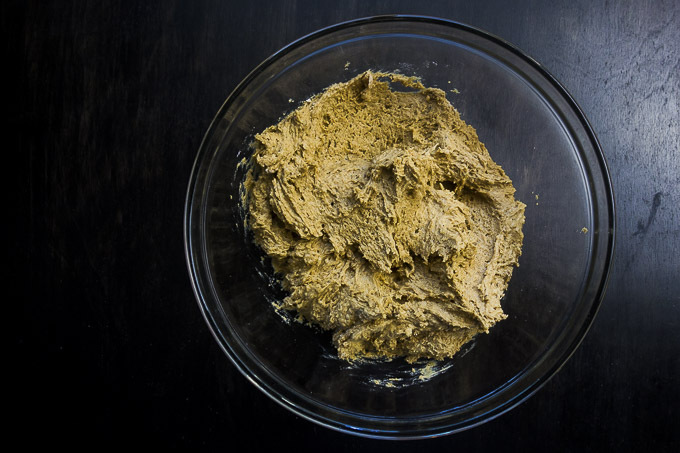 For extra spice, add 1/4 cup chopped candied ginger (in place of the ground ginger) to the cookie batter before refrigerating it. Recipe can be found HERE. The key to keep gingerbread cookies from spreading is by chilling the dough. You can also replace the butter with shortening or use less sugar if you continue to have issues. 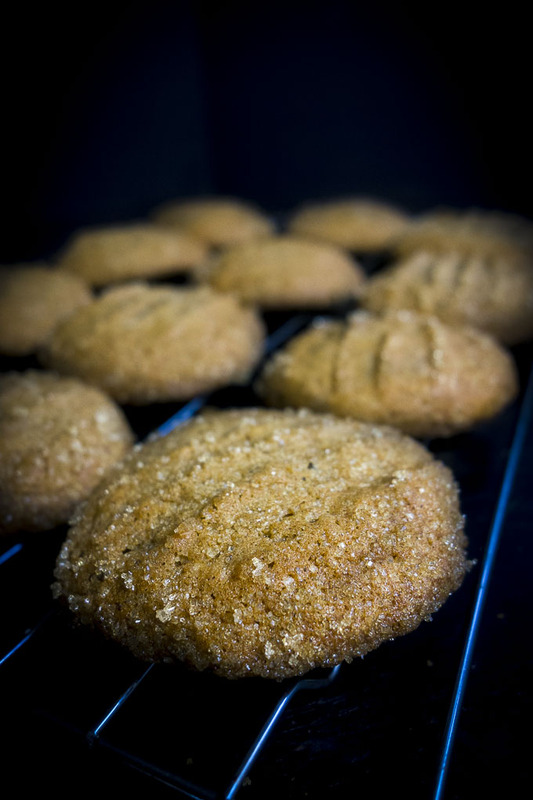 For this recipe, the chilled dough will keep these gingerbread molasses cookies from spreading. Make sure to chill for at least 3 hours. Cookie dough can be made ahead and rolled in balls. Store in the fridge for up to 3 days. To freeze: Let the gingerbread cookies cool completely then place on a baking sheet directly in the freezer for one hour. Transfer the cookies to a freezer safe bag and store for up to 3 months. Did you make these homemade gingerbread cookies? Follow me on Instagram, post a photo and tag #wenthere8this or @wenthere8this. I love to see what you’re making!